Ladybirds are probably the most popular member of the beetle family in Britain. 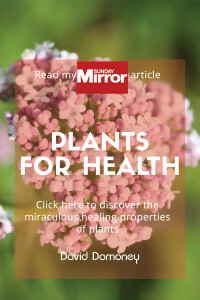 Gardeners love them because they are voracious aphid eaters, and so are their larvae. Ladybirds are so good at keeping population numbers down, you won’t need to use pesticides. The two-spotted and seven-spotted varieties are the most frequently seen species. Many people believe that the number of spots indicates the age of the ladybird, but this is a myth. 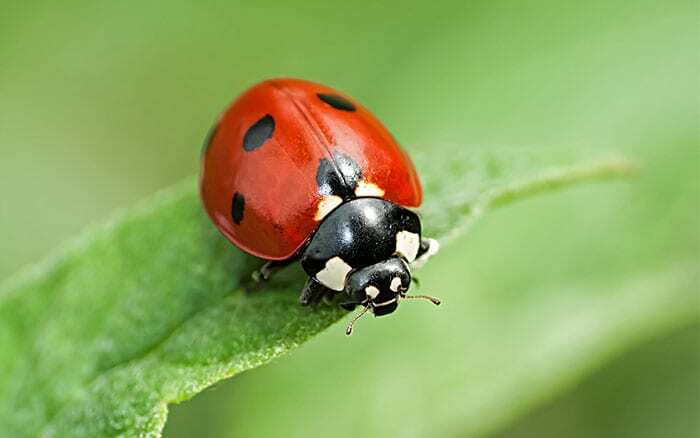 Why are they called ladybirds? According to legend, the name comes from farmers in Britain. During the Middle Ages, their crops were being eaten by pests, and they prayed to ‘Our Lady,’ the Virgin Mary for help. 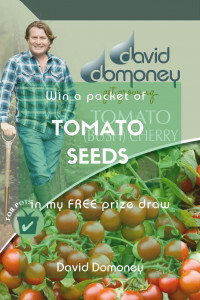 Soon the farmers starting seeing ladybirds on their crops, and the pest numbers went down. In early paintings, Mary was often depicted wearing a red cloak, with spots like a ladybird to symbolise her seven joys and seven sorrows. So the farmers associated these insects with the Virgin Mary and named them Lady beetle or Our Lady’s bird. In German, ladybirds are called Marienkäfer, which means Mary beetle. Ladybirds are always looking for a safe space to lay their eggs, and the adults also hibernate over winter. 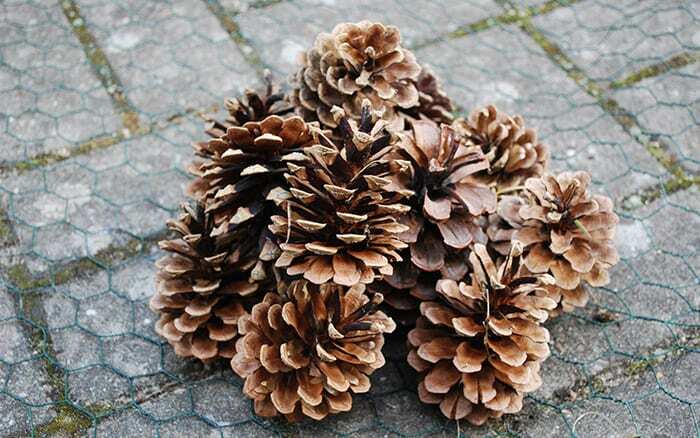 They often use dead stems or old wood, but you can replicate this natural environment in your garden with a pine cone hotel. Cut a length of chicken wire, 50cm to 80cm long. Make a pile of pine cones in the middle of the chicken wire. It helps to press them together so their scales lock and hold together. Alternatively, you can tie them together with some string. 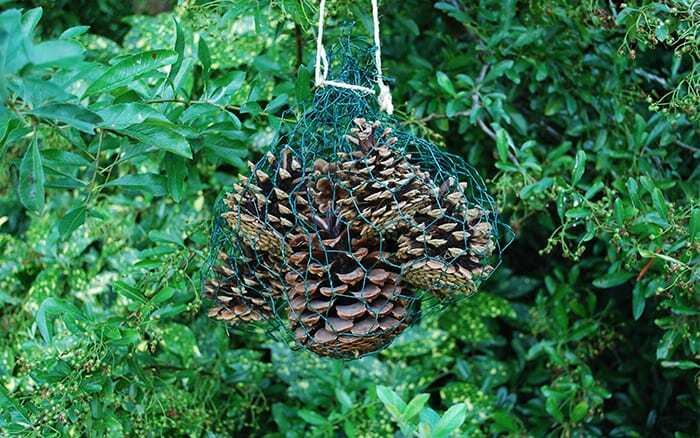 Lift up the edges of the chicken wire around the pine cones to make a bag. 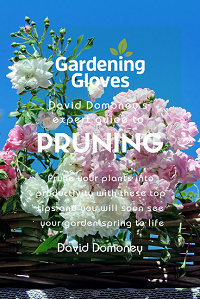 Fold in or cut out the excess chicken wire. Tie the top of the bag together with string. You can hang the hotel in a sheltered spot in the garden, or place it on the ground in the flower bed. Make sure it is protected from heavy rain. Want more ideas for insect hotels? 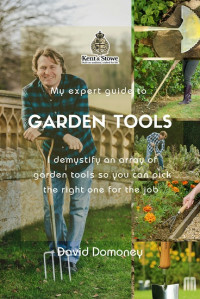 Read my free guide to creating all different types of bug hotels! Find out more about Wild About Gardens Week, and how building a log stack can help garden wildlife. And test your knowledge with my Ultimate Insect Quiz! I have used pine cones before for Ladybirds ,but Unfortunately found vine weevils loved using then to to hide in so had to get rid of them.